The Black Friday bargains are still coming thick and fast, but we're starting to see some great Cyber Monday camera deals too. Amazon are continuing to do some interesting one-day deals... and this is the one that takes our fancy today. It is a pair of binoculars from Canon, which have built-in optical stabilisation, so that you get a wobble-free view of the wildlife or action you are viewing with them. The Canon 10 x 30 IS II binoculars have a powerful 10x magnification making them a good choice for bird-watching or for safaris. 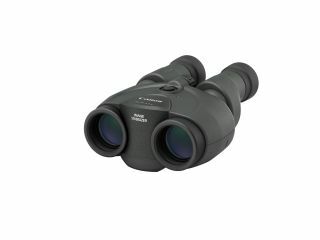 Save 25% This pair of binoculars are being offered for one day only at over a £100 price under their recommended retail price. The Image Stabilisation system mean that they are much easier to use than other binoculars - giving you a stable image when you press the IS button.